You can view the route for each ride on the events' pages. Please note, these routes are subject to change. Why has the route changed since the last time I did it? Each year, we take on-board feedback from participants and we use this feedback to have discussions with local authorities and emergency services to identify a safe route that will also minimise disruption to those along the route. As such, changes to the route will be put in place to make the event experience better, safer and less of an impact upon those communities along the route. Why is the Classic Challenge shorter than 50 miles? We have put a huge amount of work to create a fantastic route for you this year. 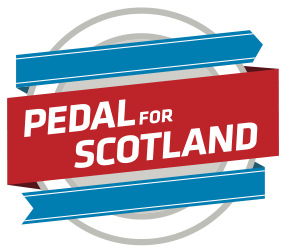 The safety and experience of participants is really important to us and so after a lot of research we feel we have picked a great route to cycle from Glasgow to Edinburgh – challenging enough, but not off-putting to those who are undertaking their first big challenge ride. This route is still a big but achievable challenge for most. Please note, the final route is subject to change. Are there hills? Are they steep? It is pretty hard to go for a cycle in Scotland without a hill! However, we have tried to ensure that the Classic Challenge route is as accessible as possible this year. As such, the route takes in considerably less elevation than previous years. Will there be a route file that I can upload to my bike computer/navigation device? Although we don’t envisage any substantial changes to the route at this stage there is always a possibility that there will be a last minute change due to unforeseen circumstances that are out of our control. For this reason, we do not issue a downloadable route file for the event however the route will be fully sign posted throughout so there shouldn’t be any reason to get lost!